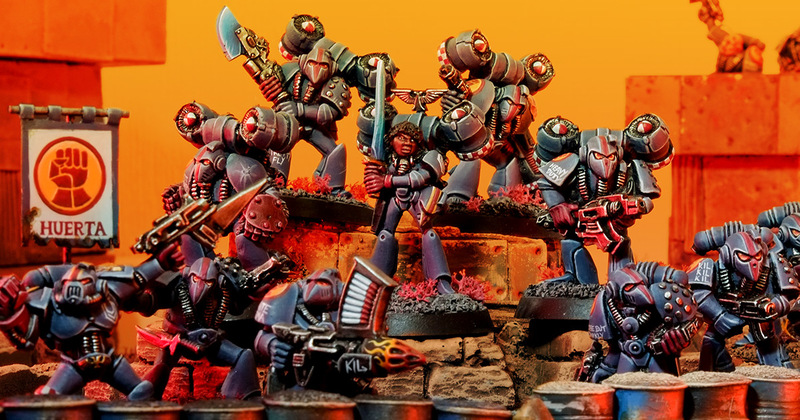 With Space Marine players jumping for joy that the new Primaris miniatures get jump heavy weapons, I’ve jumped at the chance to do a Rogue Trader era squad – when jump heavy weapons were also a thing. 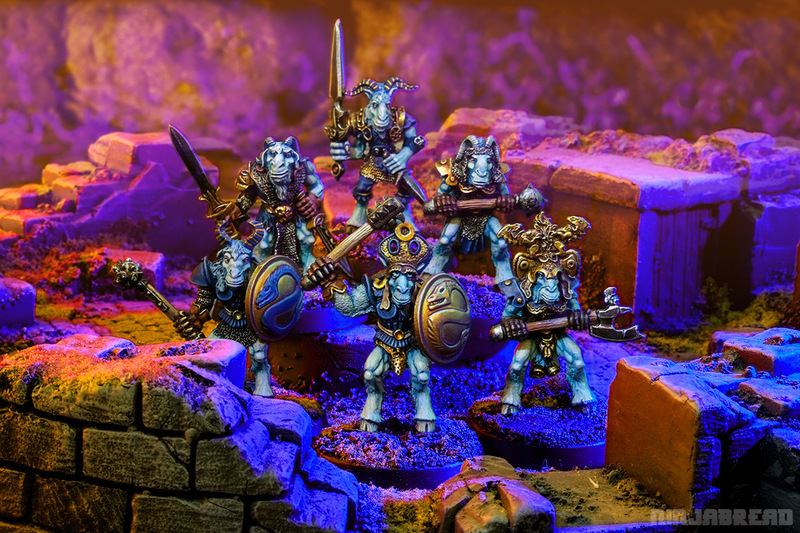 I normally have a cooling off period before I buy new Games Workshop releases, as every miniature is turbo-exciting on first reveal and owning all of them is impossible. 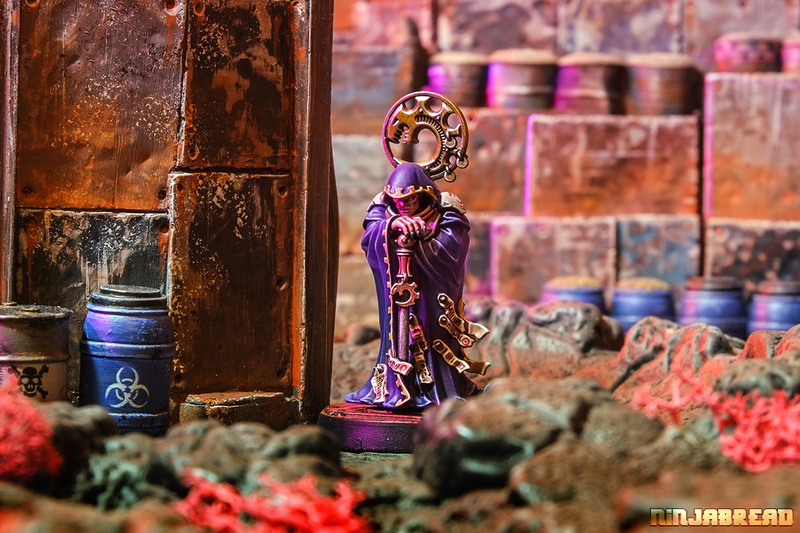 But the new Genestealer Cult Locus is such an instant classic he was not only pre-ordered but jumped to the front of the painting queue. I love doctors. And I love Space Marines. 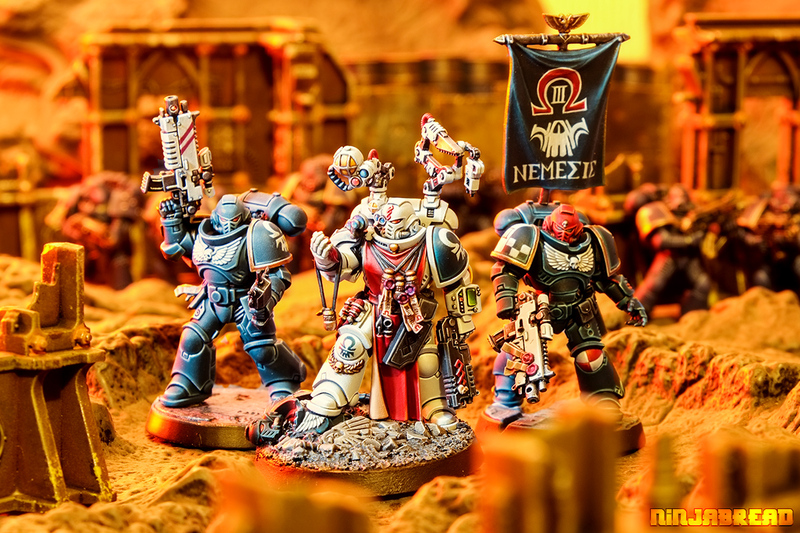 Put them together, and you get Doctor Space Marines, dispensing healthcare and the Emperor’s justice across the battlefields of the 41st millennium. 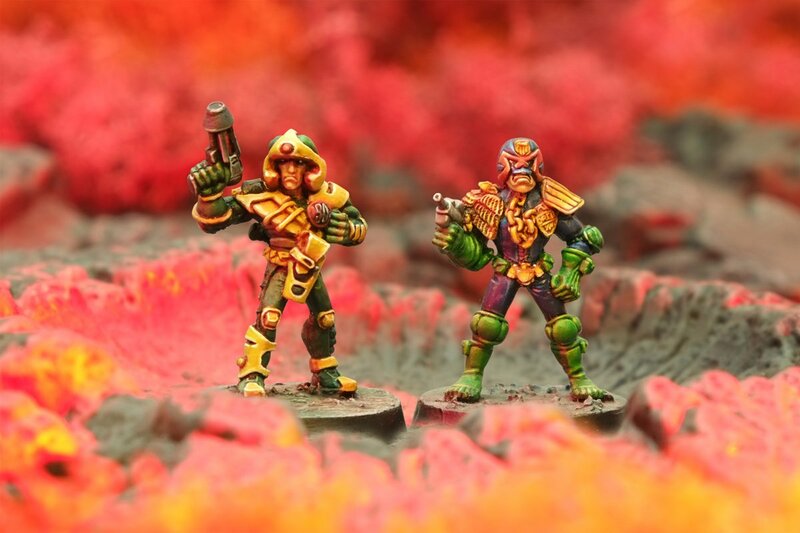 It was Christmas 1987, and Games Workshop celebrated the festive season by releasing two limited edition Space Marines (or “Spaced Out Marines” as the advertising called them). 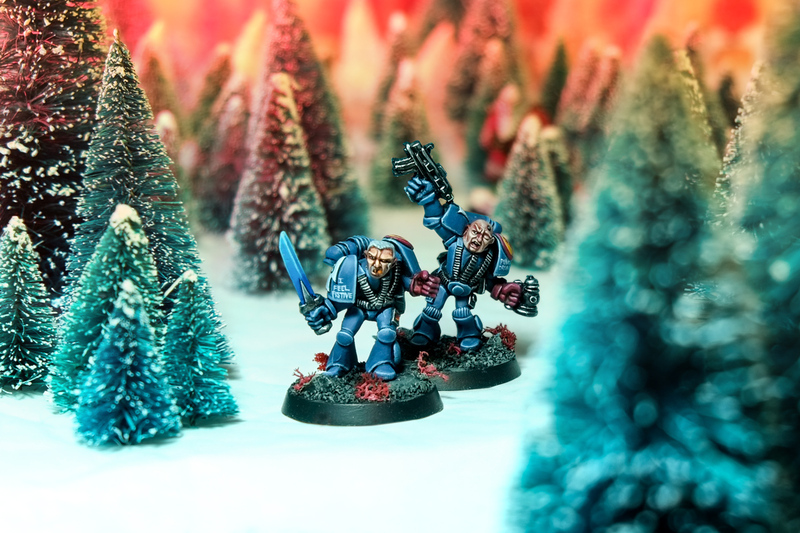 I’ve painted the pair for my growing Crimson Fists force. It’s Christmas time, so enthusiasm for the ultimate Christmas films – The Lord the Rings Trilogy – has enveloped Ninjabread towers. While binging on DVDs and mince pies, I’ve painted a breakfast (that must be the collective noun) of vintage Games Workshop Hobbits. Golden Demon! 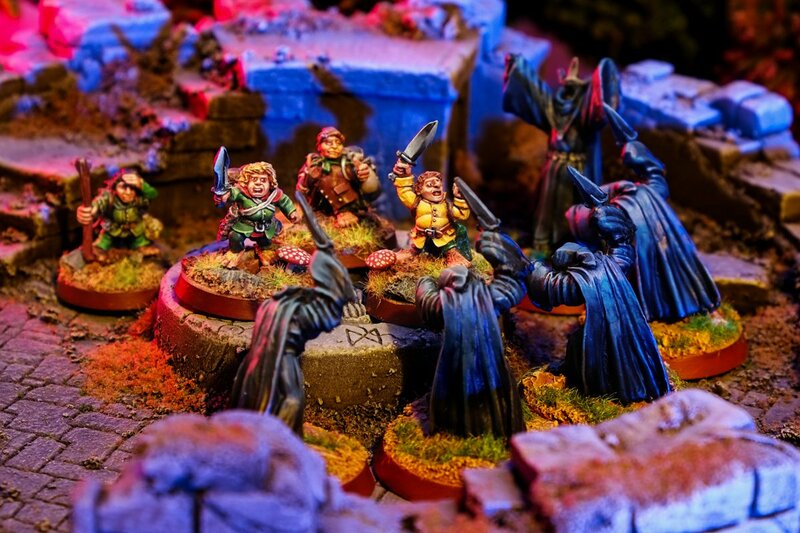 Games Workshop’s prestigious painting competition I’ve dreamed about winning since I was an eleven year old boy. Like the Oscars – there’s big statuettes. Like the Nobel Prize – the winners are selected by internationally respected judges. Like the Turner Prize – there’s a no contribution to the actual world of art. 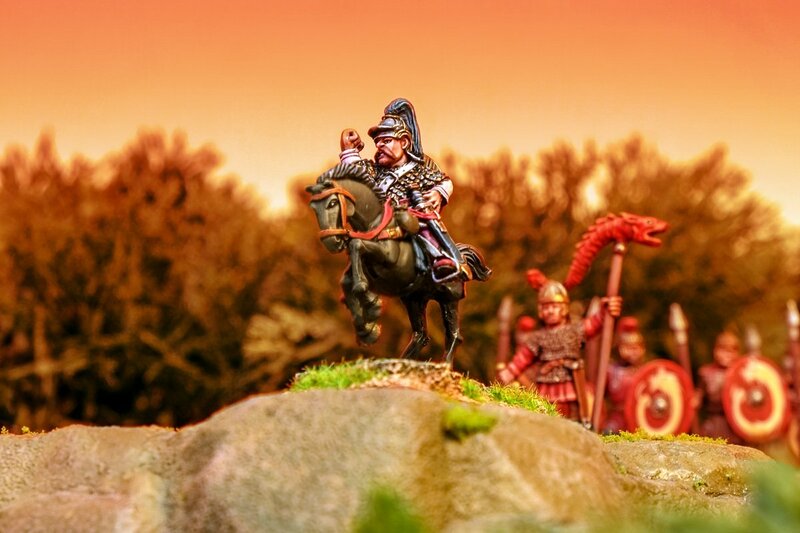 It’s the ultimate battleground for miniature painters. 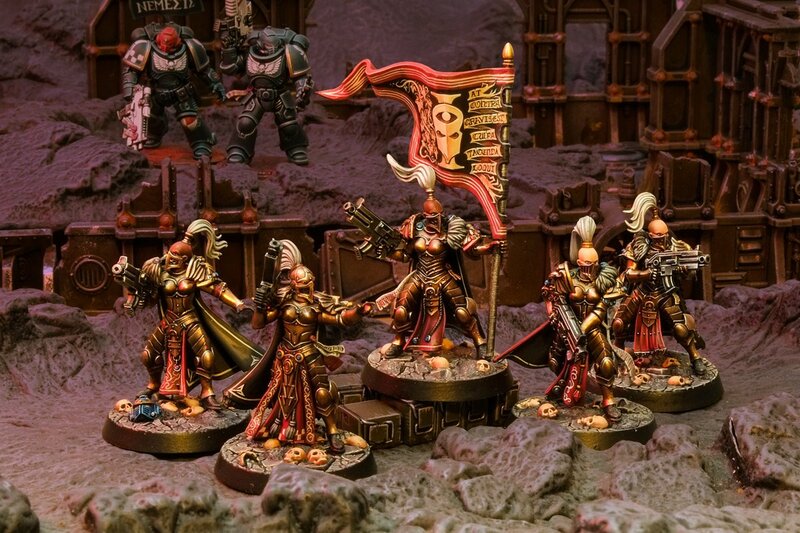 And these Sisters of Silence Prosecutors took home the bronze statuette at the Warhammer 40,000 Vigilus Open Day. 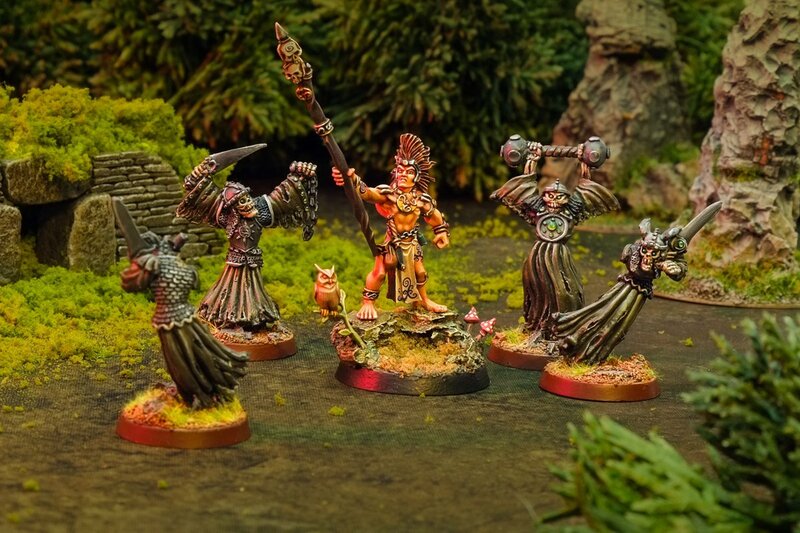 For two years now I’ve entered a turbo-niche Halloween painting competition where entrants have to paint one piece from Citadel Miniatures’ insanely characterful Night Horrors or Gothic Horror ranges – the two 1980s ranges designed to support Games Workshop’s Call of Cthulhu licence. As last year I painted one half of the classic Citadel LE3 Gumshoe Detectives duo, Bogart, it seemed only right this year to paint his partner – Cagney. British comics lost an icon this week with the death of Carlos Ezquerra – the creative genius behind Judge Dredd and Johnny Alpha. Carlos’s character designs and universes underpin a lot of subsequent science fiction – including Warhammer 40,000. 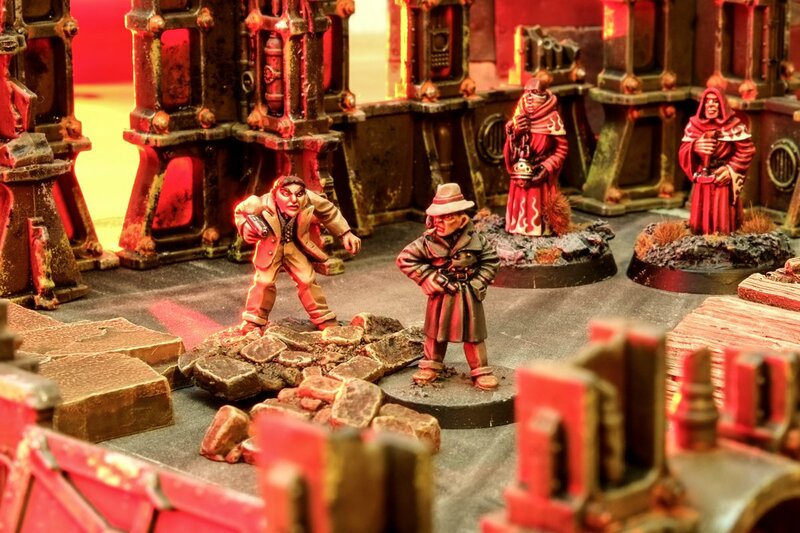 Two years before Games Workshop gave birth to Warhammer 40,000: Rogue Trader, they were dabbling with science fiction miniatures such as this trio of Strontium Dog characters.